Facepalm: Technology is advancing at an incredible pace, especially when it comes to AI and robotics, which is why many people are concerned about the possibility of a Skynet-style rise of the machines. This fear was compounded recently when a video of what appeared to be a humanoid robot went viral. But there’s no need to worry: it’s a fake, albeit a pretty convincing one. While the robot in the video is pretty terrifying, it’s not a secret project from Boston Dynamics. In fact, it’s not even a real robot: it’s a CGI rendering. Adam, as he’s called, was created to show off the Unity engine, which powers games such as Pillars of Eternity II: Deadfire, Life is Strange: Before the Storm, and Endless Space 2. The CGI robot starred in a short 2016 film from Unity’s Swedish demo team and went on to appear in a web series. Neill Blomkamp, the South African-Canadian film director responsible for District 9, Elysium, and Chappie, produced the second and third episodes of the series along with Oats Studios. He tweeted that Adam wasn’t real and in a separate post gave “Props to the artist who implemented Adam into live action footage." 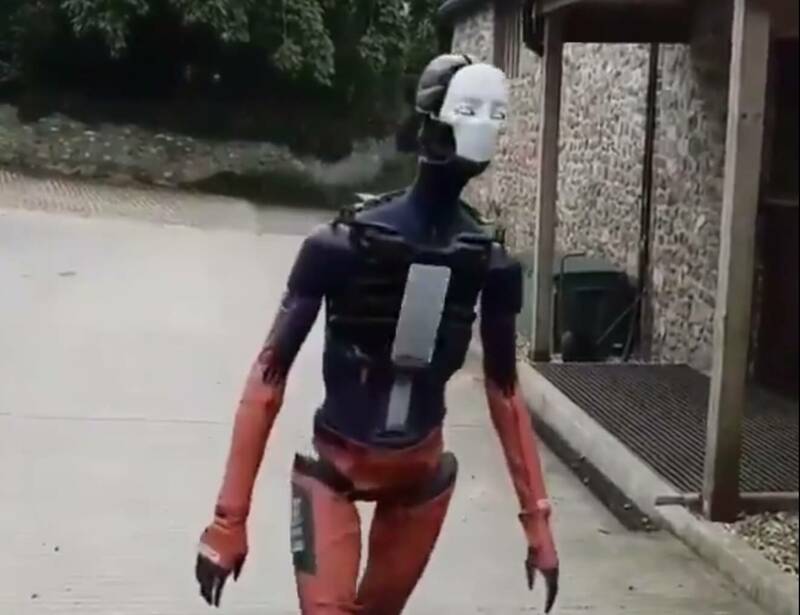 3D artist Maxim Sullivan posted the original video of Adam on August 12, along with the message "Glitchy test of Adam from the @oatsstudios Unity film, going for a walk." While Adam may be a free, downloadable model for the Unity engine, we have seen some real nightmare-inducing robots from Boston Dynamics, including the very freaky ‘Handle.’ But right now, it appears that an actual Terminator is still many years away.